Featured Aretha Franklin, the preacher’s daughter who became the “Queen of Soul” and forged the template of the larger-than-life pop diva with her exuberant, gospel-rooted singing, has died. She was 76. Thank you for your compassion and prayers. We have felt your love for Aretha and it brings us comfort to know that her legacy will live on. As we grieve, we ask that you respect our privacy during this difficult time." "Respect" was written by the great Otis Redding. In his version, a man is pleading, offering his woman anything she wants in exchange for her respect. He sang: "Hey little girl, you're sweeter than honey / And I'm about to give you all of my money / But all I want you to do / Is just give it, give it / Respect when I come home ..."
Aretha changed those lyrics to demand parity. "Oooh, your kisses," she sang, "Sweeter than honey / And guess what? / So is my money ..." In her hands, "Respect" became an empowering song — for black women and for all women. It was a No. 1 hit in 1967, and it became her signature song. Aretha Franklin was born March 25, 1942, in Memphis, Tenn. — but she was raised mostly in Detroit. Her father, the Rev. C.L. Franklin, was a famous preacher, and her childhood was steeped in both music and the burgeoning civil rights movement. Her family was close friends with the Rev. Martin Luther King Jr., who often stayed at their home. Some of the most important gospel artists of the day came to visit regularly as well, including Clara Ward and the Famous Ward Singers, Mahalia Jackson and Sam Cooke. Franklin told PBS's American Masters in 1988 that when she was a child, her father would coach her. "He would give me different records to listen to, to see if I could emulate them on the piano, different vocalists to listen to." These were gospel artists like Ward and Jackson. But the young Aretha listened to popular music, too. And as she toured with her father she met R&B artists like Fats Domino and Bobby Bland. At first, Atlantic wanted her to record at the Stax studios in Memphis, but Stax did not want to pay for the sessions. Instead, Atlantic producer Jerry Wexler took Franklin to the Muscle Shoals Sound Studio in Alabama. The Wexler/Franklin pairing proved magical. Franklin brought her own material to the label, and Wexler encouraged her to play piano in her recording sessions. And from 1967 to the mid-'70s, Franklin released a string of classics. The first was "I Never Loved A Man" — with her sisters as backup singers — followed by "Do Right Woman — Do Right Man," "Natural Woman," "Chain of Fools," "Think," "Rock Steady" and "Until You Come Back To Me (That's What I'm Gonna Do)." 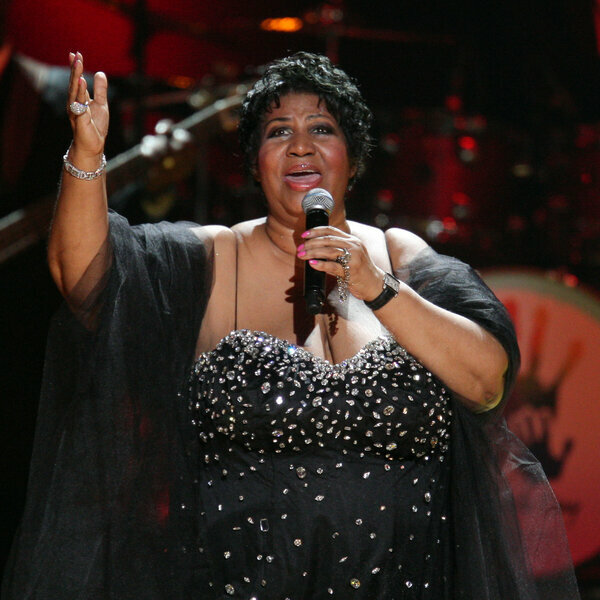 Aretha Franklin received just about every award a singer can get, including 18 Grammys (plus The Recording Academy's Grammy Legend Award and a Lifetime Achievement Award), the Presidential Medal of Freedom and, in 1987, an induction as the first woman into the Rock and Roll Hall of Fame. She performed until she couldn't anymore — because being the Queen of Soul was second nature to her.